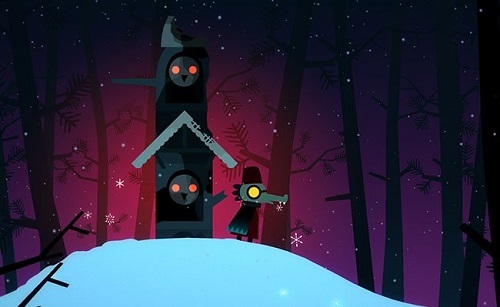 This week, we discuss the free Kickstarter teaser, demoish thing for Night in the Woods, Lost Constellation. I personally didn’t get much from the game other than a nice pleasant feeling from the game’s art style, but fellow podcaster Nick liked it a lot. I didn’t have much to contribute this time around, but Nick and Chris went in depth on a discussion of folklore and rituals and how Lost Constellation reflects that aspect of human behavior.